In 2009, Dirty Dog Cigar Shoppe opened it’s doors to Pittsburgh as a place to relax and enjoy a good cigar, in good company. 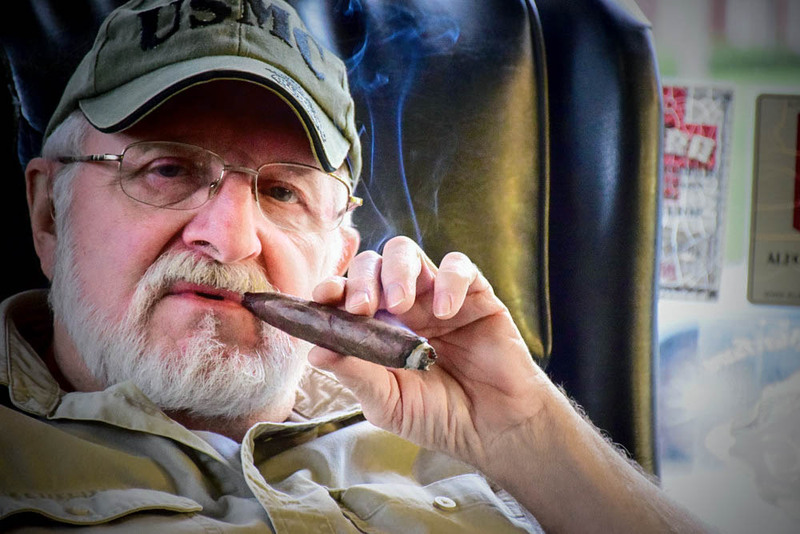 Tim Kolich, Vietnam War veteran and founder of the cigar shop wanted to give back to his community, his friends both in the neighborhood and comrades serving around the world. He did just that- regularly participating in charity to boost morale of active troops, all while growing a tight-knit community of friends and cigar-enthusiast like none other in the steel city. In January of 2015, Shawn came aboard. After years of talking about it, Tim brought his step-son aboard as a partner in the business. Shawn left (ran away with the speed of Usain Bolt) from the corporate world where he had been a corporate trainer. 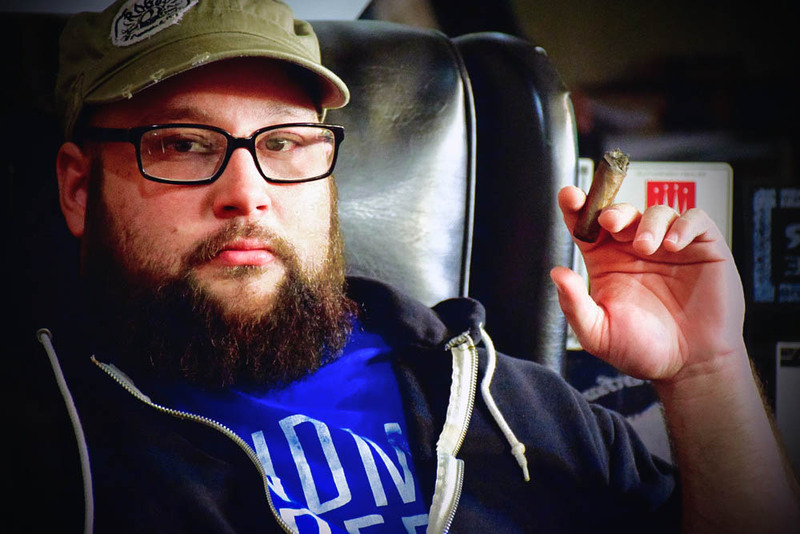 Bringing with him a passion for the cigar industry and a solid beard, he is helping Tim take the Dirty Dog to the next level. You can find him dropping knowledge on a regular basis in the Smoke (blog) section of the website. A gift from the Old Corps, to the New Corps. The package was sent the next day. Weeks later, a United States Marine unexpectedly showed up at the shop door in full dress uniform. He identified himself and requested permission to enter the premises. With permission granted to come aboard he pulled out a small card from his pocket and asked for Tim Kolich, owner of The Dirty Dog. With great amusement Tim informed the Marine that he was indeed speaking with the proprietor he was looking for. The Marine explained that his sixty or so comrades in his air support unit in Afghanistan put him on special assignment to seek out the owner of The Dirty Dog and show him a token of their appreciation. However, it was difficult to decide exactly how the New Corps could show the Old Corps how much they appreciated the gift. From his pocket he produced another item. He went on to explain that what he has was a safety key from a Hellfire missile used by his unit on a mission. At this point, the Marine gave his word saying “On this mission that missile was used to send several Hodgies to meet their seventy-two virgins earlier than they had planned.” The Marine and Tim continued to swap stories and soon he was gone. Enclosed were two additional keys. These are those three keys and they symbolize our appreciation. Our thanks and respect goes to our armed forces for protecting the freedom we have all come to enjoy as well as to our patrons for making THIS SHOP a place to enjoy that freedom. On December 28th, 2012 The Dirty Dog Cigar Shoppe stuffed another box with $1,000 of cigars to be sent overseas as part of Operation: Cigars for Warriors to continue showing our appreciation. This was made possible through donations from our shop patrons.